In Colon you can tour the Panama Canal and its scenic rainforests and attractions. Then board a domed railcar for an excursion to the Pacific Ocean. Fort Lorenzo would be another great excursion as it is a fantastic historical place to visit. Along the way you can admire the fabulous bird and animal life of the jungle. You won’t be disappointed! 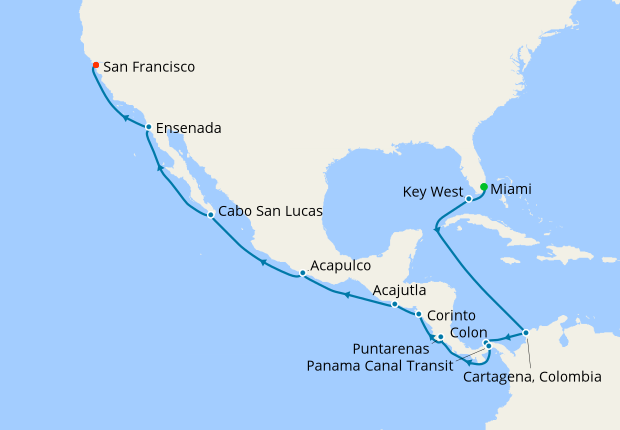 Linking the Atlantic to the Pacific, you can marvel at the vast locks, lakes and impenetrable rain forest as you pass through the Panama Canal. This is one of humanity’s greatest engineering achievements. You can adventure into the Gamboa Rainforest, where you can see Howler monkeys, or try your luck at catching Fresh Water Bass in Gatun Lake. One of the major attractions here is the La Paz Waterfalls where you'll find one of the world's largest enclosed butterfly parks. One of Mexico's top resorts and a favorite haunt of jet-setters and stars, Acapulco is an international destination alive with gorgeous beaches and non-stop glamour. Ensenada is the most extensive municipality in Mexico and has the one of the warmest climates in Baja California. Ensenada offers to its visitors a wide array of natural attractions covering, sea, mountain, valley and desert scenarios. Here you will also find the Valle de Guadalupe and its many wineries, in a land known to be the best wine producer in all Mexico. Just back from San Francisco to Vancouver via Alaska and cannot rate this trip highly enough! We have been on Oceania before..booked through you.. and you will see we are going again in September. You kindly obtained an upgrade to penthouse suite and the food, service etc were first class. Also, the Pan Pacific Hotel you booked us in Vancouver was excellent in a great position by the cruise terminal. Well done all at Iglu. 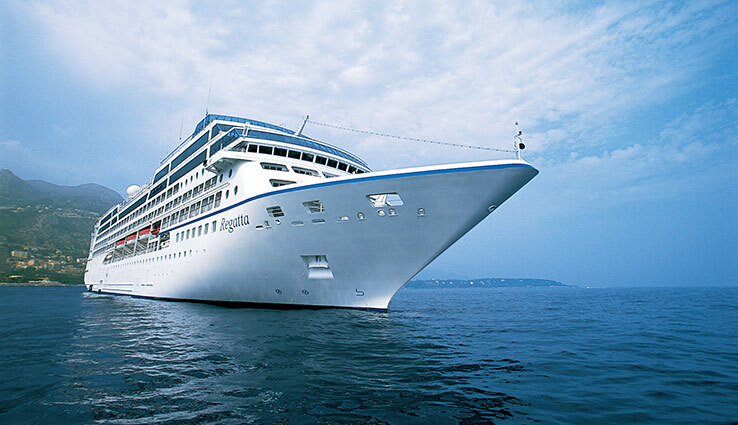 In 2009 we did our first cruise with Oceania (Nautica, Mediterranean Tapestry), and in 2011 were part of the Marina's inaugural sailings in the USA (San Francisco to Miami) we're sold on this cruise line, and on 1 August we join the Kings and Kingdom cruise in the Baltic, cannot wait! Oceania is a 5 star in every way, room size, catering, friendly staff, don't cater for younger children (fabulous from our perspective), we are truly Oceania Club Members, and will not consider any other cruise line. Haven't finished yet! !